• #1 Reason: if this is just an illusion like the shamans say, and when awake it’s exactly the same as when you are sleeping, how might you make it the best ever dream possible? 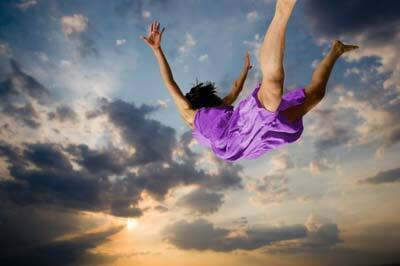 Have you heard of lucid dreaming? That’s when you’re asleep and you realize you’re asleep and can manipulate the dream however you want. I do that. I have cues that trigger my awareness when I sleep. If in a dream I’m in an elevator and it begins to go sideways or diagonally, I am instantly aware I’m dreaming. When I know this, I can do whatever I want in the dream because I know it isn’t real. I can fly. I can jump off buildings. Anything. What if this was true for you in your “awake” state of being? If you really knew this was a dream, what might you do? Would you have the fears you have? If you really knew you were safe and it’s a game here, might you play your life game differently? Now don’t go jumping off a building, please! But think about your life. If you are energy, soul substance in an earth suit, is there really anything to be afraid of? • #2 Reason: If this is a dream, and you’re holding yourself back in your business or love life, there must be past beliefs that keep you stuck in the illusion. Knowing this is a great first step to lucid dreaming in your awake state! That’s what I love about the work I do, Shadow Work®. It helps you clean up the past programming and brings you back to the truth of who you are. When you can shed the lies you’ve picked up about yourself- like not being good enough– you can say boo to fear and step strongly in your life. • What stops you from being all you can be? • What are your fears? • If you really knew you were whole and perfect just as you are, what would change? • How do you want to show up in your life- with your friends, family, health, spirituality, and business? When you break through the old baggage and embrace your true self, the skies limit! I would love to know what you think about this blog. Does it resonate with you? What would it be like to lucid dream in your life while awake? What might happen? Comment below and then share it on your favorite social media!!! PS: I also realize I have not been consistent with my blogging. Staying connected with you and offering my work is extremely important to me. From now on,, my intention is to reach out once a week, even if it’s just a quick inspirational quote. I want to sprinkle your email with heart-enhancing glitter!!! Whatya think? ← Did you feel the love? ~What if you could create your waking “dream” as you do a lucid “dream”? oh Devra, your event looks wonderful! I am a big fire circle gal. In fact, will be at Rites a few weeks before. I already have plans that weekend but maybe next year!!! !